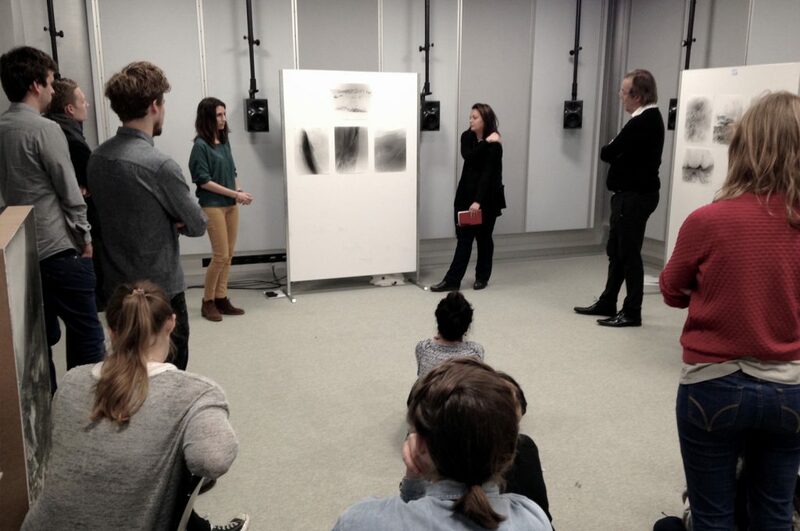 The MAS LA has been offered at the Chair of Professor Girot from 2003 until 2016. 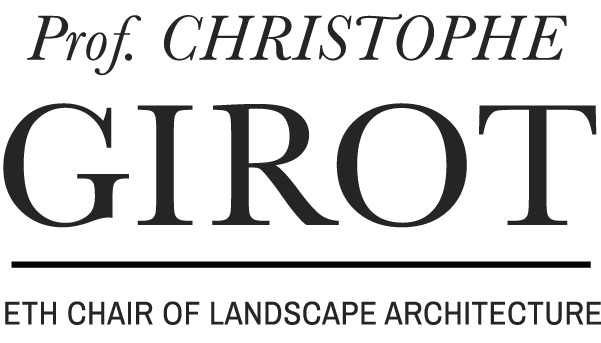 Students from around the world have attended and form today a strong network of professionals in the field of landscape architecture, infrastructure and architecture. 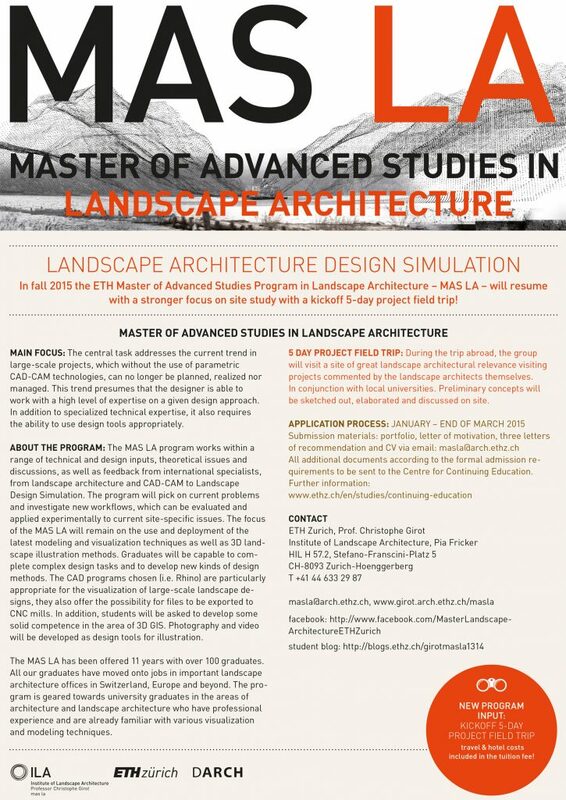 The MAS LA, was a one year Postgraduate Diploma Program that teaches students and professionals the state of the art in tools and methods and their consequences to our field. Our program specialized on advanced computational design and analysis techniques using the most up to date point cloud technology available. 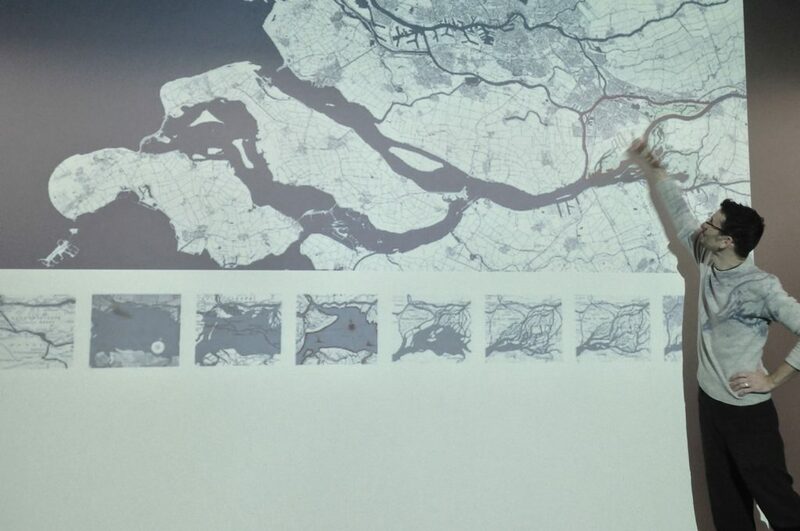 A key element of the program was a scaled study of three sites, each growing with complexity and investigated through analysis and design. 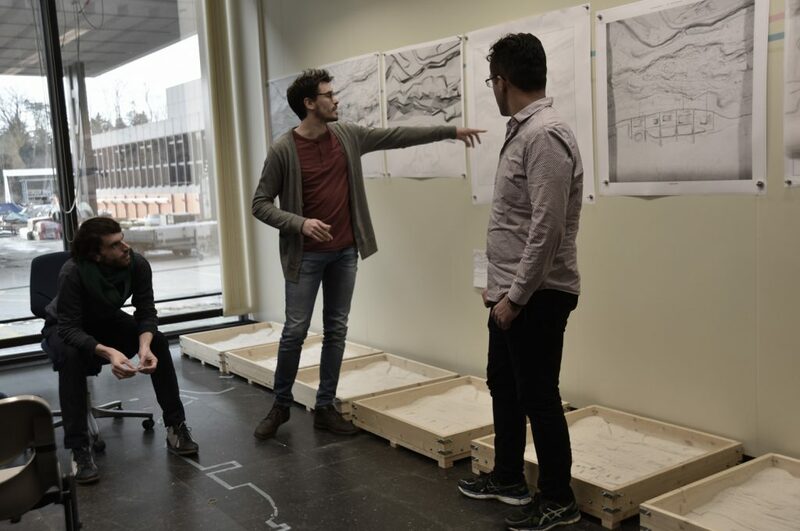 These studio exercises were complemented by a series of six focused workshop modules throughout the academic year, which focus on contemporary digital terrain modeling and visualization tools in combination with practice-oriented lessons in ecology, grading and drainage. 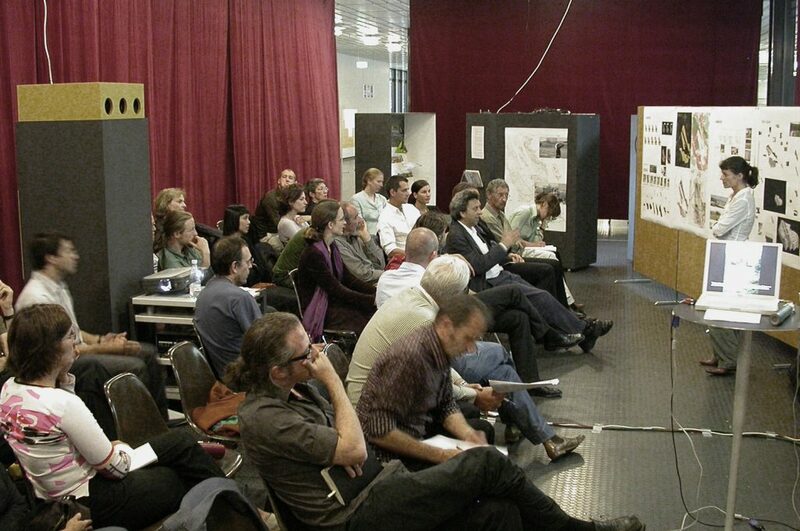 In these sessions, invited actors in the profession guided participants in problem-solving various site dimensions. Finally, to assist the students in the development of their own design proposals, new techniques in digital landscape fabrication were taught in conjunction with more conventional hand modeling and design techniques by a team of recognized practitioners and experts. 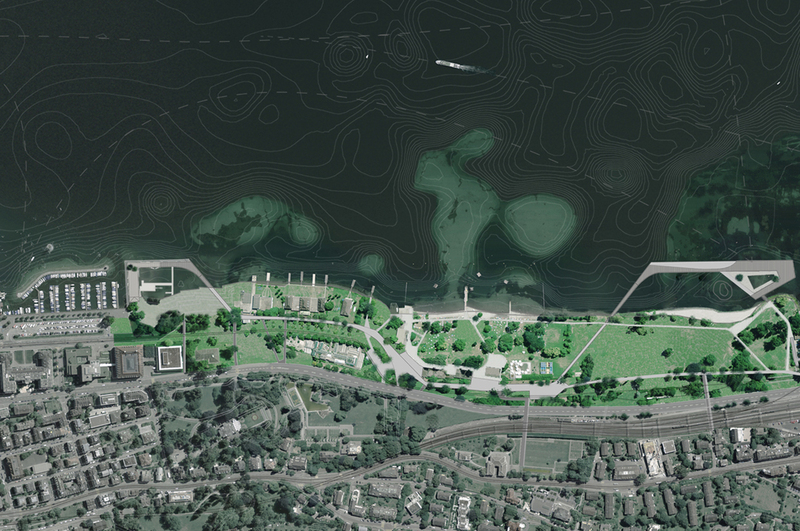 MAS LA students have been trained in landscape design and fabrication by approaching complex ecological projects from a variety of angles and through a wide range of methods for analysis, visualization and synthesis. 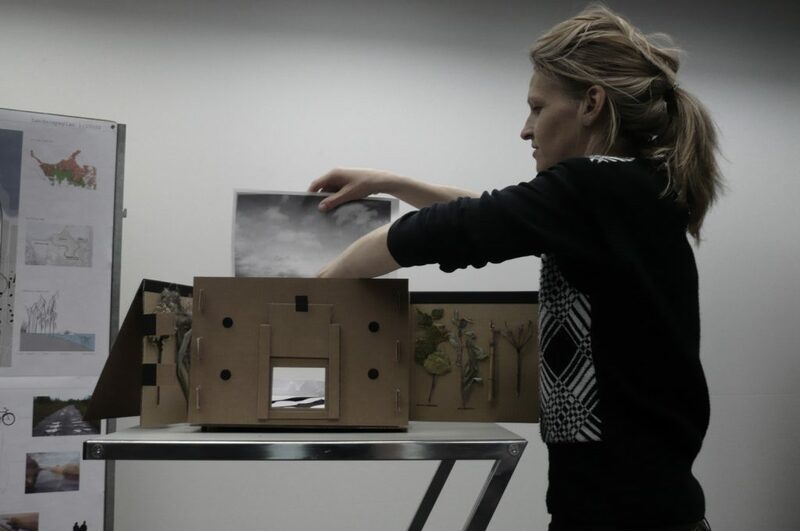 In addition to being introduced to principles of aesthetics and ecology, an emphasis on modeling and visualizing landscapes will further develop the studio’s landscape architectonic compositions. Students employed CAD programs and rendering software such as Rhinoceros and Cinema 4D to visually communicate their designs. These has been further tested physically through computer-controlled milling machines capable of 3D fabrication. While students have been introduced to these programs in technical workshops, prior knowledge of 3D software related to the disciplines of architecture and design is strongly recommended. The objective of the program was for students to master the entire design process from field exploration and analysis to design, visualization and fabrication in the span of a year. Graduates of the MAS LA program are prepared to address landscape architectural issues within the natural and built environments through a practice-oriented methodology and an experimental approach to design. Our graduates have found jobs in the most prestigious offices; they are capable of executing complex tasks within all phases of design; some have developed new landscape design ideas by establishing their own practices. 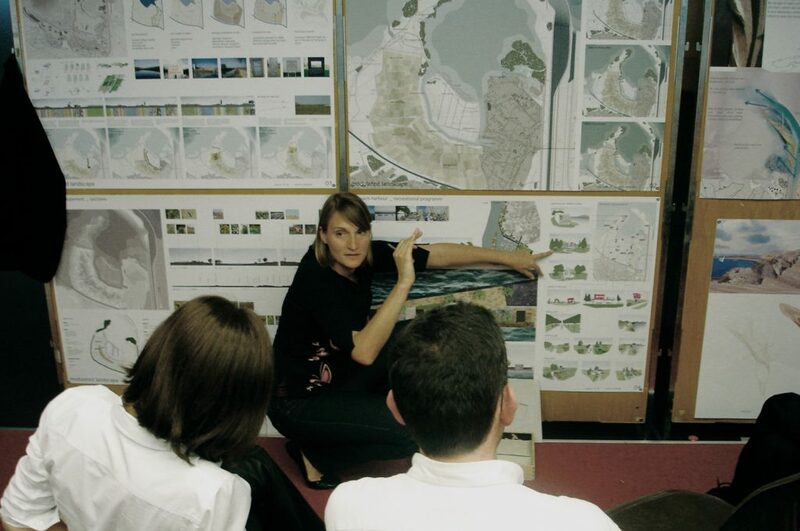 Lastly, working hand in hand with architects, urban planners and city authorities, the goal is to train graduates of the landscape architecture program to be able to elaborate and communicate their design ideas professionally.